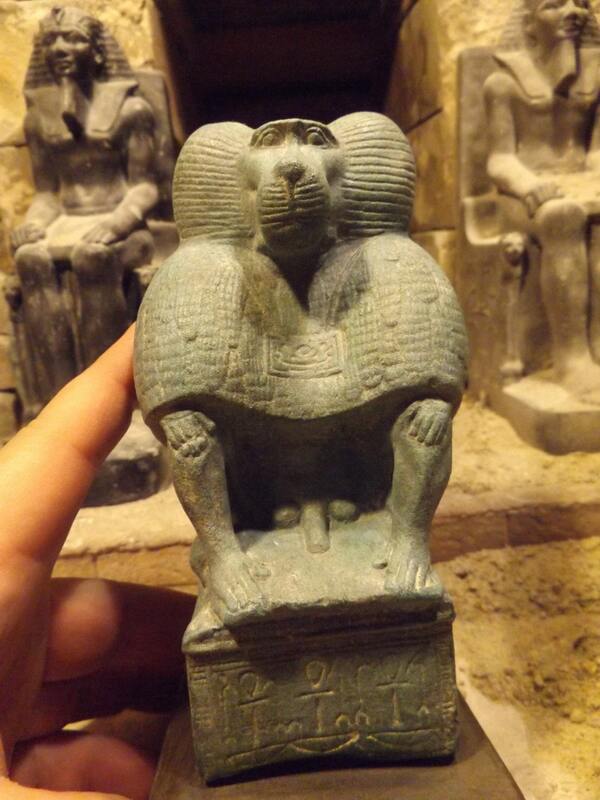 This exceptional statue represents the Egyptian god of writing and wisdom in his baboon form. 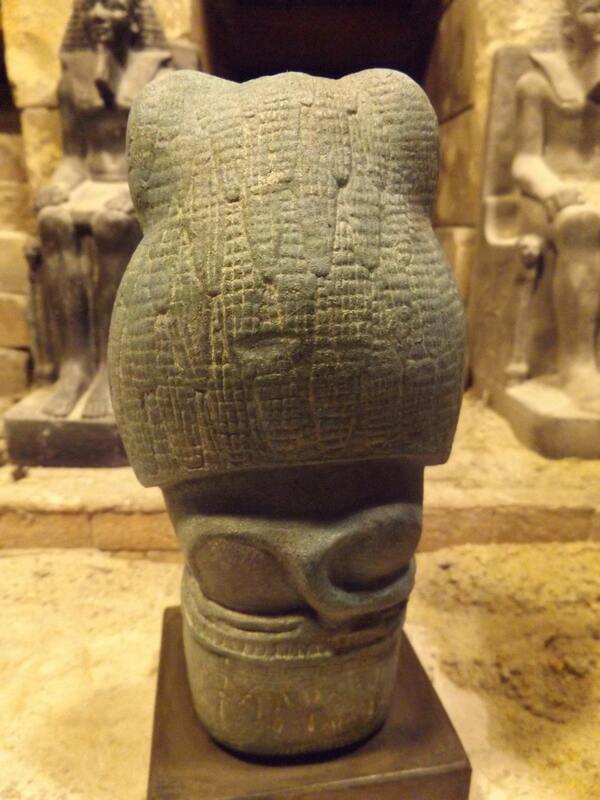 This is a replica of an ancient artifact and is made of a limestone and quartzite composition stone. It has a well developed blue / green patina which gives it a realistic look and feel. Mounted on a felt based stand it will add an impressive point of interest to your collection. *Also available in the store at the moment and worth a look to compare style, is a smaller version of Thoth in a similar stance but holding the eye of Horus. In addition to the literary and account keeping aspects of his nature, Thoth was also associated with the moon and could be represented as an Ibis with or without the crescent moon crown worn on his head. Thoth can also be shown as an man with an Ibis head / mask. 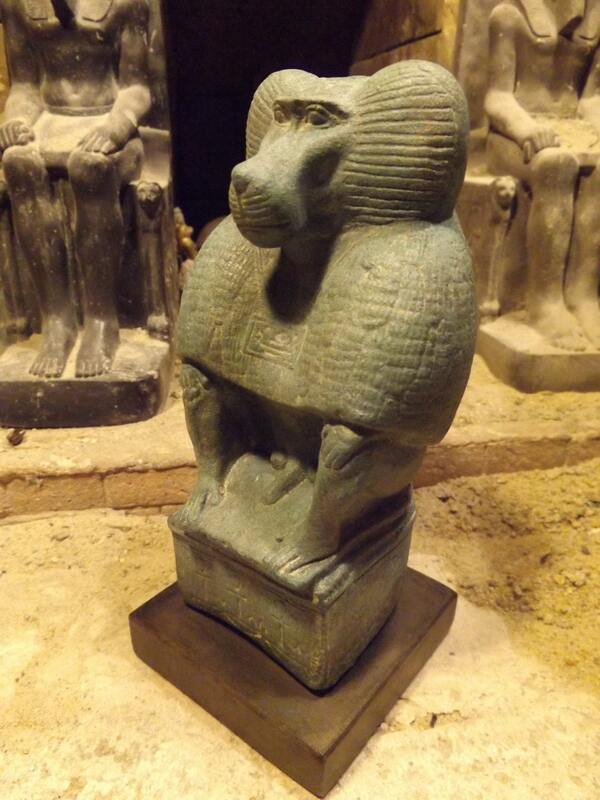 The statue on offer here is a representation showing the purely baboon form which was a sacred animal to the Egyptians. The most human like creature that inhabited the Nile valley was deified early in Egyptian history. The baboon's howling reaction to moonlight would have been noted and was a likely reason for his appointment to moon god status. The title of moon god was also shared with Khonsu, which was a more abstract youthful human form from the Theban region. 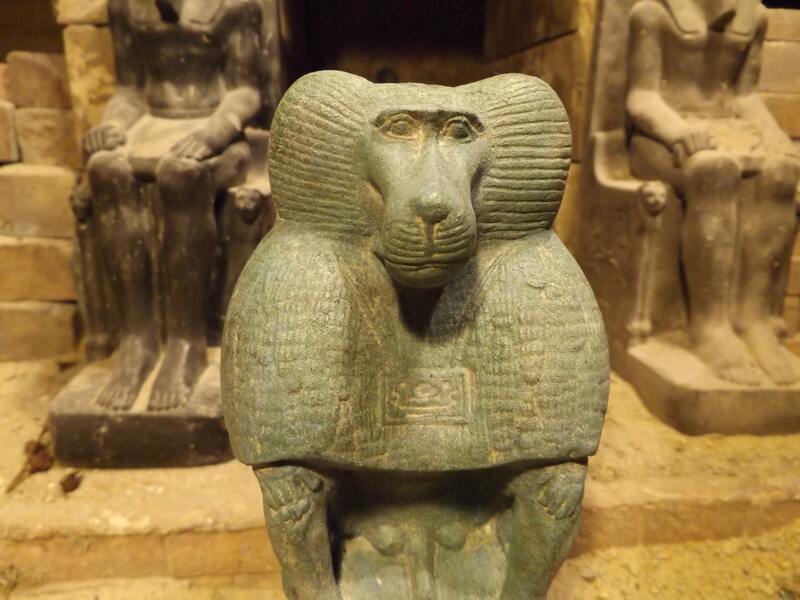 Baboons were also depicted greeting the rising sun with arms upraised in adoration. This piece is highly detailed and full of character. On his chest he wears a pectoral amulet of the solar boat of Ra that sails through the Egyptian sky as the sun passes from East to West. 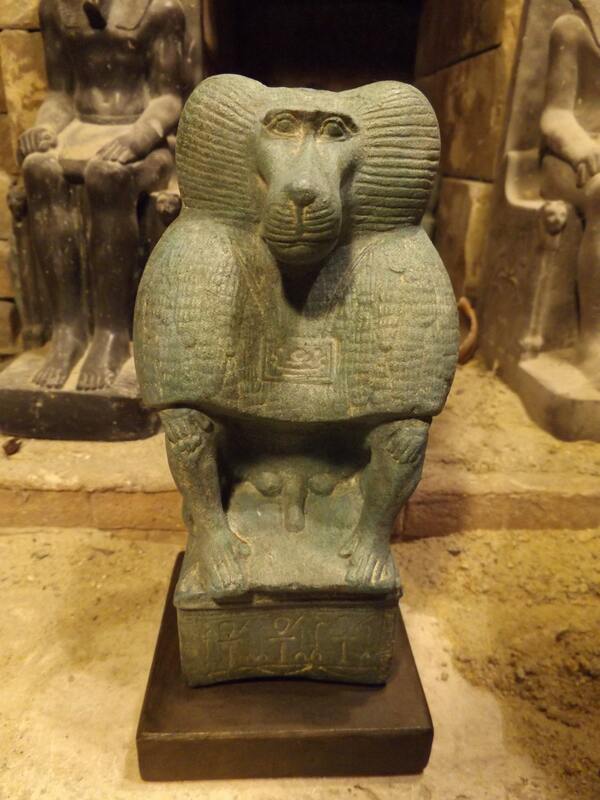 He rests upon a plinth that has a pattern of Ankh and 'Was' (wass) sceptres encircling it. The symbols of life and dominion. Upon his head is an indentation that shows that in ancient times, a crescent moon disc crown once adorned the original statue.